The Latin America cosmetics industry is continuously expanding & has placed itself as one of the fastest growing and most vibrant cosmetic industry across the world. As per Goldstein Research, Latin America cosmetics market has reached a value of USD 31.98 billion in 2017 and is anticipated to grow at a CAGR of 4.49% during the forecast period 2017-2025. Brazil, Mexico, Colombia and Chile are the top markets in Latin America showing high growth rate in the cosmetics industry. The Latin America cosmetics market is shows readiness towards adoption of innovation, new technologies and new global trends in cosmetics. Various home-grown market players have been witnessed to have flourishing cosmetics business in Latin America. In terms of product type segmentation, skin care products segment which includes toners, cleansers, anti-wrinkle creams, facial creams, etc. acquires leading market share of total Latin America cosmetic market. Further, followed by skin care products segment, hair care segment accounts for second highest revenue share in 2017. Further based on geography, Brazil accounts for highest market share followed by Mexico revenue share in total Latin America cosmetics market. Brazilian cosmetics market has bounced back from economic downturn faced in 2013. Across Brazil, skin care products, color cosmetics & fragrances segments holds the largest share. 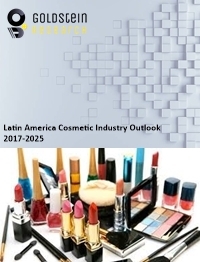 Our Latin America Cosmetics market report comprises of the following companies as the key players: Himalaya, Biotique, Dabur, Lotus, Patanjali, Coach, LVMH, Puig, Shiseido, the Estée Lauder Companies Inc., Ralph Lauren Corporation, L’Oréal, Coty, Revlon, Avon Products, Inc., Hermès, Oriflame, The Procter & Gamble Company, Unilever PLC, GIVI Holding S.p.A., Christian Louboutin S.A., Bottega Veneta, Balmain, Azzaro, Carolina Herrera, Groupe Clarins SA, etc.